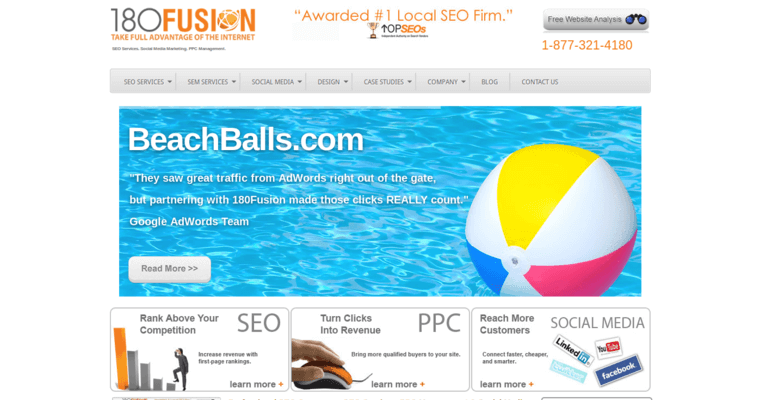 Enterprise SEO agency, 180fusion, offers bespoke search engine optimization services for brands with large websites. The agency focuses on a client’s core objectives with the high-impact techniques so each client sees a good return on their investment. 180fusion’s SEO professionals excel at creating content which encourages quality links. Enterprise-level clients include Fortune 1000 companies. There is a free SEO Audit Tool on the enterprise SEO agency’s website which offers fast, accurate results for people who don’t understand what is holding their site back in the SERPs. 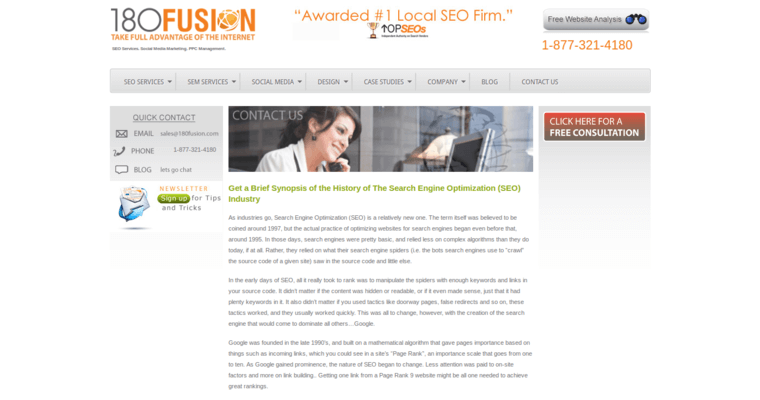 The enterprise SEO agency also offers PPC and social media management, which 180fusion will coordinate with SEO campaigns for maximum impact.